Brown Rice Porridge | Jasmine Food Corporation Sdn. Bhd. Wash rice and boil with dried longan; and then simmer in low heat for 30 minutes until grains broken up. Add in GouQi and rock sugar, continue cooking for 5 minutes. 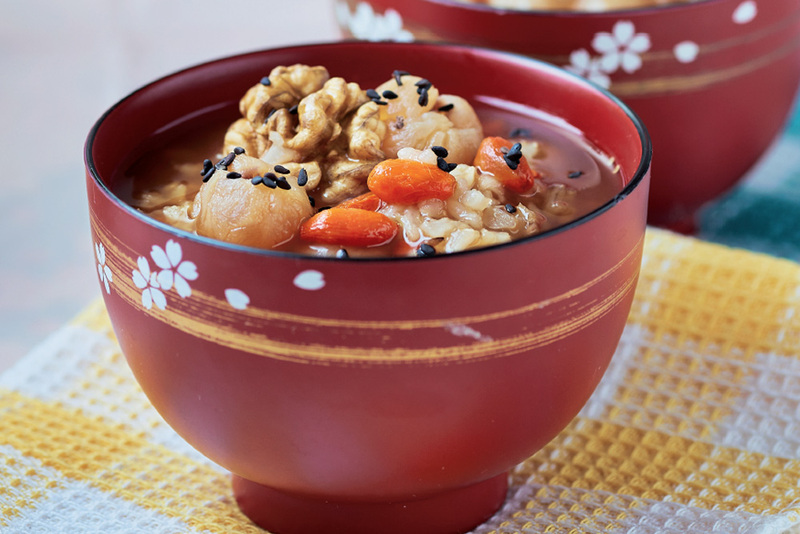 Toss in walnut and sesame and serve.